Brainwavz M1 Review: Slippery Design, Good output. 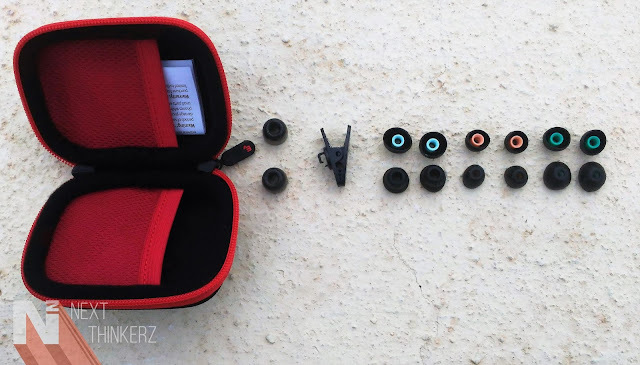 A couple of weeks ago, Brainwavz launched their newest set of mid-range earphones, the Brainwavz M1. These are a strikingly similar pair of headphones compared to the M5 IEM earphones that we have earlier reviewed. There's no tag of Noise Isolating earphones anywhere on the box like most Brainwavz products do, But I guess the term IEM(In Ear Monitoring), speaks out itself. 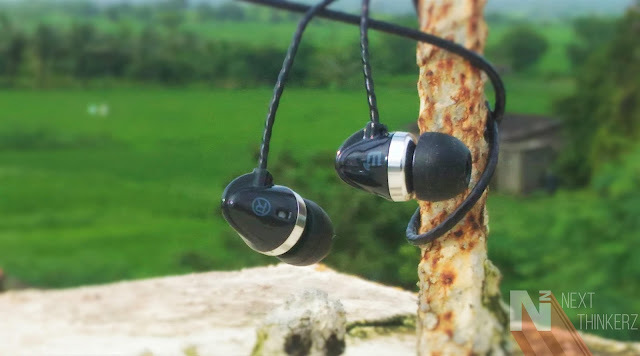 We have used these earphones for about a week and here is our what we think about the Brainwavz M1 & it's complete review. So let's dive deep. It comes with 10.7 mm Dynamic drivers on board with an impedance rating 32 Ω. The M1's have a frequency range varying from 20 Hz to 20 kHz. Sensitivity mentioned on the box is 110 dB at One mW output. It runs on 10mW input power. The cable is about 1.3 m long and has a Y-cord integrated with a 3.5mm silver plated audio connector. The cable is termed as oxygen-free cable, and it does sit properly in that term as the flick to deform gesture brings the cable back to its form untangling any tangles. Good Job, Brainwavz. 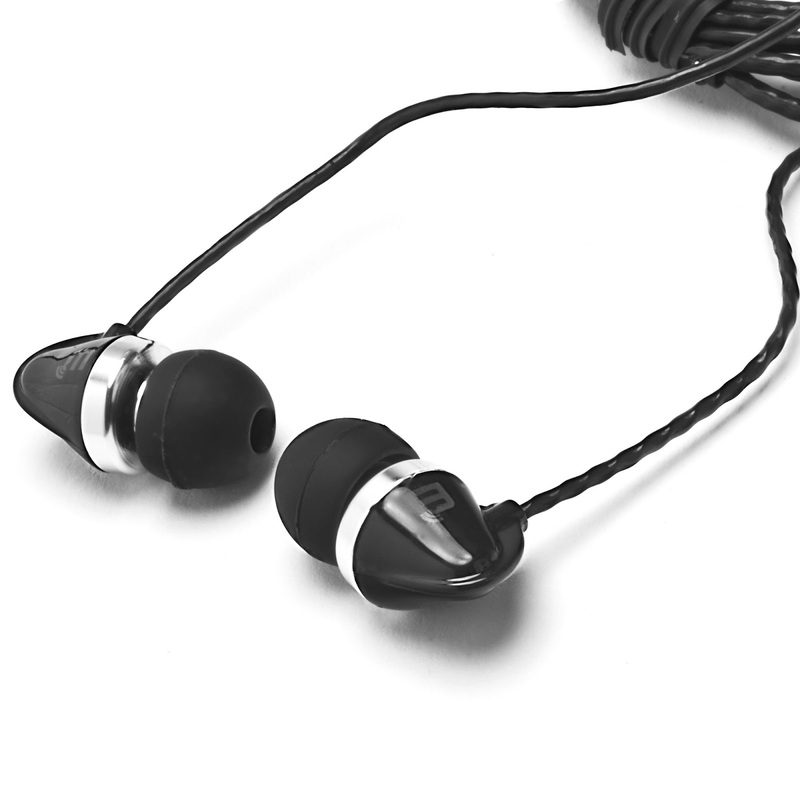 The Earphones comprises a built which is a mixture of Steel and Soft touch plastic almost giving it a slippery polished feel. Although the plastic molds connected to the steel mount are a fingerprint magnet and after using it for about a week, I've observed that removing it when plugged into ears is quite a task. Since the slippery feel and the triangle shape is hard to grab and I almost find myself grabbing the cable end of the central unit to unplug it from my ears. Going down there is a Y cord connection which then extends out to the 3.5 mm audio connector plug. There is no microphone or a play/pause switch on these earphones, Which is a sad thing. But in my opinion, That is a good touch as it makes the earphones light, As I always reach out to my phone when I receive a call while hearing music through my earphones. I feel that is reasonable for anyone, rather than find ways to speak in that wonky direction, getting caught up in cables, We've been there right?. Next thing which I've observed is that the cables termed as Oxygen Free cables, Do an excellent job of untangling themselves with just a flick. At least that's how it's been going with me for about a week. Apart from that as an extra touch, Brainwavz has dropped sound outlets which I suppose do the job of airflow when plugged in & it also works as an alternative to finding the Right & Left earpiece unit. Alright so now moving towards how the Brianwavz M1 earphones sound, So the word balanced would be enough to justify itself. The Bass is on the mid-range side, and the vocals observed are pretty profound and clean. Of course, you can play with different set of equalizers to tweak the output, though the result is going to be the same, which is crisp concerning the vocals in my opinion. Apart from the vocals when you switch to different genres, you will observe a sudden change in the highs and the mids of the music played in the background. For example, the rock concerts kind of music would be appealing to hear, but if we turn the tables to more of an EDM(Bass heavy) side, the mushiness gets observed. I often find myself turning off the bass by tweaking the equalizers & turning up the volume to listen to vocals because that's where the beauty of this earphones lays. Electronica set of music seems high, unless and until there aren't any vocals involved. These earphones would make a good pair of sets for those who are more into traditional audio listening. Since that's where the most vocals are observed, during the music listening experience. Whereas it will also be a delight for different genre lovers that doesn't have a mix of both vocals and music. Comply tips provided with the box provide a good bass experience in my opinion, and they're a must have thing while traveling to soak in that much-needed refresh of a bass boost. I think Brianwavz has done a good job with M1's creating a distinctive pattern of both worlds, the Highs, and the lows. The only thing where it lacks is in that combination output which gets mumbled at times, according to my thoughts & Usage. So the Brianwavz M1 comes along with a nice hard shell box which accompanies a total of Six Different sets of extra Silicone Eartips. Cramped in all the standard shapes and sizes, There's also One set of Comply Eartips included as a separate pack inside that box and lastly, we have got the warranty card nicely placed inside one of the compartments inside the box. The Brianwavz M1 comes with 12 months(1 Year) of warranty out of the box. 2 Years of Warranty according to Flipkart & Amazon. So speaking about the Design it's gets passed, then the Built & Audio experience also stands up high, Whereas, on top of that, the extra tips and the hard shell box is a piece of cake. So overall it's a tiny little set of earphones which pretty much ticks all the boxes that I look into a decent package considering an earphone. But when the price factor comes into the picture, All those points get a caveating fact. The Brianwavz M1 is priced at Rs. 2999 & I feel that its a bit on the price heavy side, Considering it doesn't even have a microphone. So it's a pragmatic choice when it comes to buying the Brianwavz M1, I mean there are several other earphones which are priced way below these earphones and provide almost the same audio quality. But the lightweight form factor & the tangle free design is what you would miss in those cheaper headsets. If you've any queries in peculiar to these earphones, do let me know in the comments below. Links to buy: The Brianwavz M1 would be available on Flipkart, Amazon & their website itself.